Siister Packages available: * Wedding Ceremony * Live vocal performance as guests arrive We can sing the bride down the aisle and perform whilst the bride and groom are signing the register * Reception Drinks * One hour set typically during the afternoon of an event The songs from the song list are chosen by the client * Evening Party * Two 45-minute sets The songs from the song list are chosen by the client, plus 2 bespoke songs There is also a complimentary music playlist available between sets * Late night DJ set (upgrade) * Bespoke and popular songs curated to a playlist Can also take guest’s requests on the night (WIFI permitting) We can add tracks from the year of client’s birth and other personalised favourites At all events we provide our brand new PA system. Siister are a professional covers duo who provide a unique music experience for your special event. 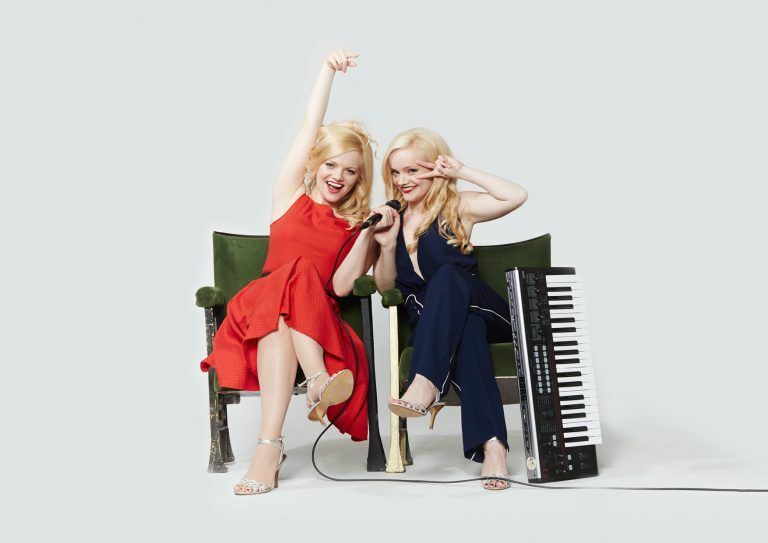 Their vocal harmonies will blow your guests away and they are highly experienced in performance and ensuring audiences are having an amazing time. 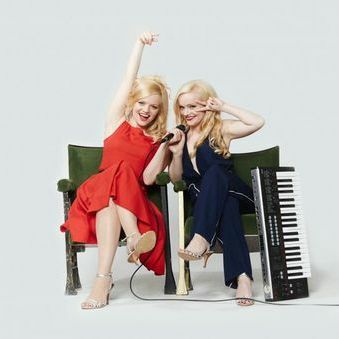 The identical twin sisters have travelled the world as Duffy’s backing singers, performing at festivals and venues including the Sydney Opera House and V Festival, have sang live on radio and on television shows such as Later…With Jools Holland and Top of The Pops. They have recently recorded vocals for Sony. Available for weddings, christenings, parties, corporate events and other special events. They will perform an extensive setlist, with additional songs available upon request. Siister are based in the North East of England and can travel to where your event is taking place. Treat your guests to an unforgettable event with entertainment from Siister. Siister performed at our wedding reception and were absolutely amazing! The girls are fantastic singers and were brilliant at performing a range of different genres to cater for both my own and my husband’s music taste! We would highly recommend Siister to anyone looking for a talented, friendly and reliable band! Siister performed at our wedding. We knew that they would be excellent but they absolutely exceeded our expectations. Not only were we blown away by their performance but all of our guests commented on how fantastic the band had been. Highly professional and a pleasure to work with, Siister present exquisite vocals with elements of choreography, making for a dynamic, joyful and exuberant live music experience. We saw Siister sing live on stage with Duffy. They were amazing! So we decided to book Siister to sing at our summer tea party in France. As well as sing their own compositions they sang at our request great classic 50’s songs and modern hits. The day went down really well and they made the whole occasion just perfect. The duo are great artists and super performers. We would highly recommend them. We have since booked Siister to perform at events on a few occasions. Do you provide a DJ service after your performance? This depends on times the client would like us to play. Normally we would take a 15 - 30 minute break. We can provide a complimentary DJ playlist in between sets. We toured worldwide as Duffy's backing singers. We have performed at weddings throughout the UK and at private events in France. Enough space for two of us to have microphone stands in front of us and PA speakers either side. We require a small table to put our mixing desk on. The more room we have the more we can move and dance.